Since I last visited Taiwan in winter of 2005, it’d always been a great want of mine to return, for various reasons. The vast majority of my extended family still lives in Taiwan, so going back is always the best (and unfortunately, almost the only) time to pay all those visits to my family members — some of whom I haven’t seen for at least a decade. Though my relationship with some of these family members isn’t very strong because of the lack of time we’ve spent together, I still do feel a familial bond with all of them and always find myself wishing that I could have — or will have — more time to see them. Another reason: now that I’m older, it’s much easier for me to remember things and properly enjoy my time there. As a kid, of course there was still so much to see and take in, but I don’t think I actually got the full experience then. I was picky about my food (My first trip there, I basically only had McDonald’s), and I wanted to look at all of my things. In other words, I focused only on my own personal interests rather than take a greater interest in the environment around me. 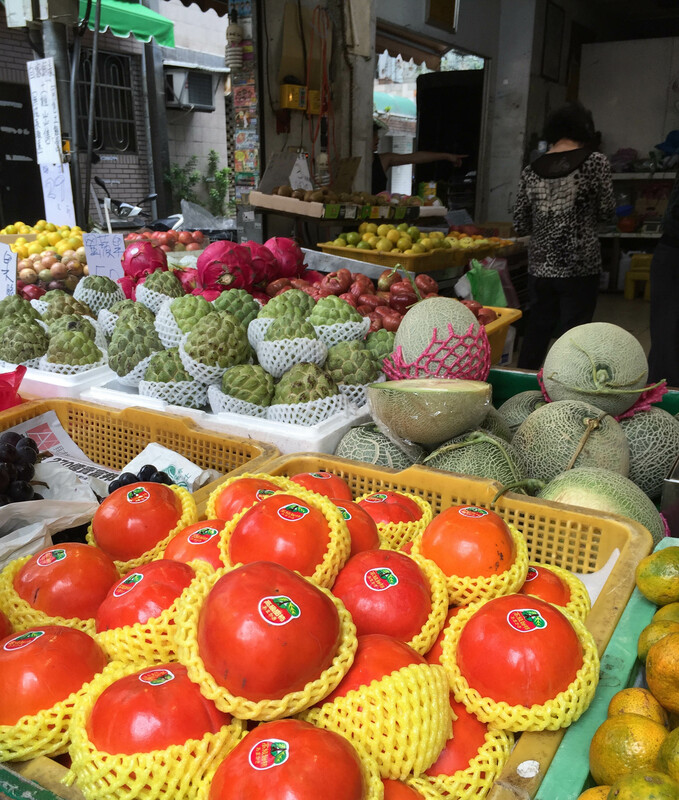 And the third reason, which ties in with the former, is the bustling food scene in Taiwan. You could eat out all three meals of the day and still not run out of new places to try — that’s how many cafés, restaurants, street carts, and other food places there are to try. I know what you’re thinking — you take a 14-hour flight to Taiwan just to try a bread bakery that you can find in the States? In my defense, they offered quite a different variety of breads at the Taiwan-based branches of 85ºC than they do in the States. There were many more savory bread options featuring toppings and fillings like green onion, cheese, onion, and hot dog. The sweet choices were equally varied. They boasted choices ranging from pastries that looked similar to American-style donuts, custard-filled breads that bore the appearance of small footballs, and many more unique flavor combinations like chocolate and mochi. I tried the pictured peanut-filled bread (above), a custard bomb, and a custard-filled pineapple bun. All of them were divine. The thing about Taiwanese sweets is that none of them are nearly as sweet as their American counterparts. The peanut filling definitely bore a closer resemblance to unprocessed peanuts than a jar of Skippy, and all of their custards were far from overpowering. 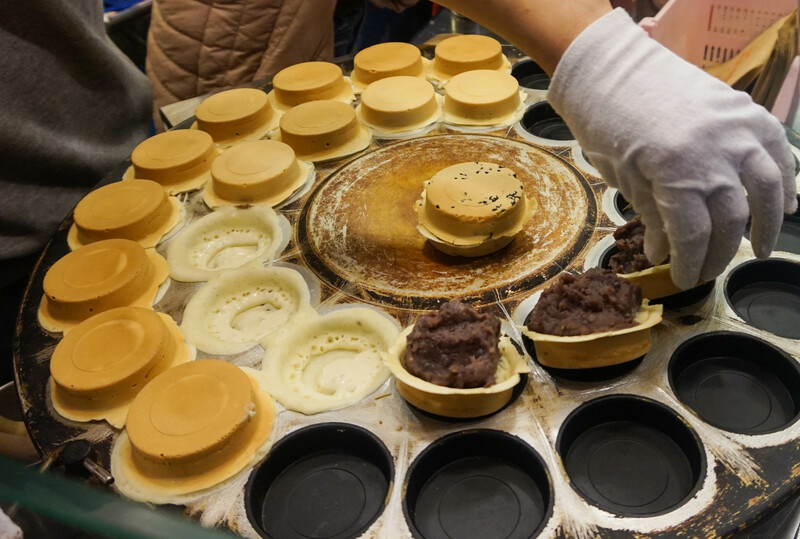 It was pretty common to see stands offering “Cart Wheel Cakes” around Taipei, but the delectable aroma they gave off as I passed made it impossible to say no to trying one, even if they weren’t too hard to buy. The outside is made of fairly standard pastry mix. To be completely honest, the smell first reminded me of crêpes. Inside — depending on where you stopped — they’re filled with anything from red bean pate, taro paste, egg custard, black sesame, or peanut butter. Is this the only savory food on this list? Indeed it is. That says a lot, I’m sure. 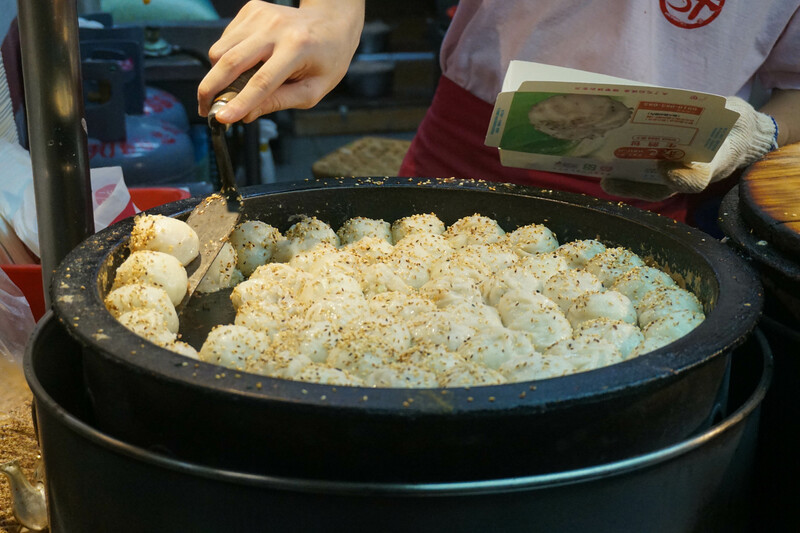 The bao sold by this night market street stand are Taipei-famous, and are listed as one of the top places to try when you visit Taiwan. It took a couple hours of wandering to find this tiny stand in the middle of a maze of storefronts and other equally-appealing food stalls, but it was so worth the search. These baos are made fresh, not made to order, but you can watch them constantly make and prepare new ones as you wait for your order to be packaged. They first prepare the outer skin into tiny balls covered in flour. The dough is then flattened into a small circle, and some Chinese cabbage and ground meat are added to the center before the dough is carefully pinched shut. They fill the huge steamers will some water before placing the uncooked bao in and covering it with a wooden lid. After a short amount of time has passed, they add more water and the sesame seed garnish. It takes less than 10 minutes to make a new batch. As for the taste, these bao drip with soup when you bite into it, and they taste wonderful. The skin is just the right texture and thickness, and the filling is just flavorful enough, but not too salty. I only had three that night, but I know I could’ve had many more if I’d sat down to have them as a proper meal. 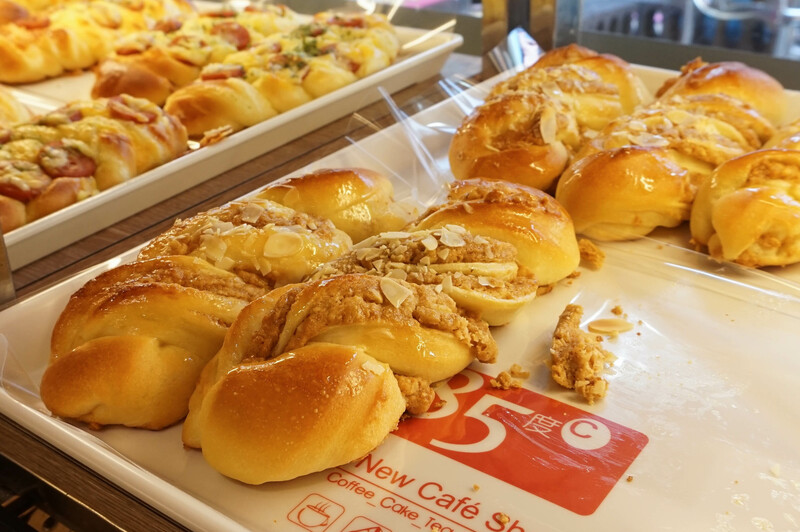 Wu Pao Chun is a renowned bakery in Taiwan whose founder, Wu Pau Chun, has won awards in 2008 and 2010 for his baking skills. You can bet that the bakery named after him has stellar breads. Regardless, link or no link, you can definitely tell that their breads are all crafted with such care. Not only do they provide instructions for freezing and keeping the breads fresh for longer, but the texture of each piece is so full. There’s flavor in every mouthful, and even after a couple days of sitting around (Eyes larger than stomach), the bread still kept its wonderful texture. The line to get into the store can be quite intimidating — it wraps around the corner of the storefront, but the store has mastered an efficient way of getting customers in and out and provides samples while you wait. That was how I got to try the Hoshino Salty Bread and their German Pudding — both just as delicious as everything I bought. I’m now (officially) home for the holidays, and frankly, I’m pretty relieved. This trip to Taiwan was enjoyable, but exhausting. I did get to try a lot of fantastic food, but I’m glad to be home with my family and my kitchen. Though I may not have easy access to all of the already easily-accessible food in Taiwan (fresh soy milk and 燒餅 “shao bing” every morning? ), I’m happier to be surrounded the love and comfort of familiarity. Hope you all had happy Christmases and all other holidays! 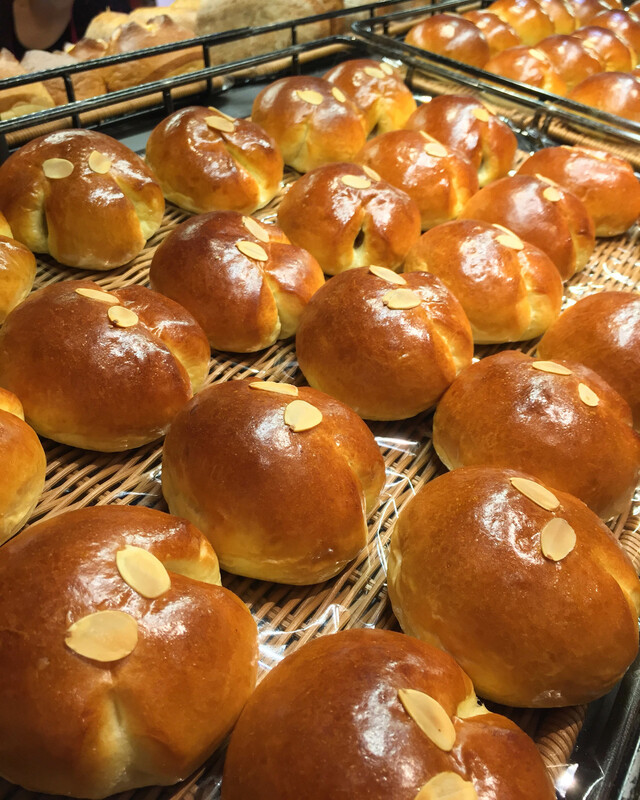 I just returned from my 2nd trip to Taiwan, and on both trips I have been impressed with the bakeries in Taipei. Outstanding breads and pastries. And like you, I love that the sweet ones are nicely balanced, not sickeningly sweet. My favorite find was a pumpkin bread, the shape and color of a green squash. Fantastic!